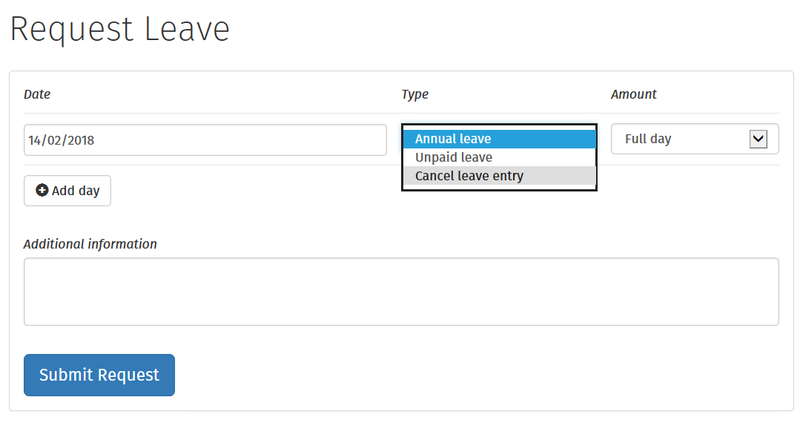 2) Select the Date you wish to cancel and under Type of Leave, choose Cancel leave entry. 3) Click 'Submit Request' or click 'Add Day' to request cancellation of further days. If your cancellation request is approved by your employer, you will receive email notification confirming this. Your calendar will be updated accordingly.